Okay so we’ve moved from Raffey jokes to llama jokes. 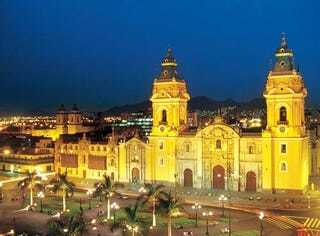 But seriously: I decided on Peru for my December honeymoon and we bought the tickets this morning. Please tell me your thoughts and experiences related to the country. TheDay and I are into grueling physical expeditions, wildlife, archaeology, history, and bountiful food and drink. We’ve already been recommended all the coca tea we can drink as well as pisco sours.